In mid April, Manny and I were downtown Chicago talking about how it was definitely our favorite city. Well a few days later we boarded a plane to Washington D.C. and it didn't take us long to decide D.C. was our favorite city. I've always wanted to visit D.C. but it's never been on the top of my list. It just so happened that one of Manny's best friends was getting married there so we made a little vacation out of it and fell in love with the city! We spent three days sightseeing and felt like we didn't even see half of it. The first two days we walked everywhere (hello 13 miles each day! ), and then on the third day, we rented bikes and toured the city that way. I highly recommed doing both! It was easy to pop in and out of museums by just walking because we didn't have to find places to park our bikes. And then it was a breeze to ride through "the mall" (area between the Capitol and the Lincoln Memorial) and sightsee all the monuments. 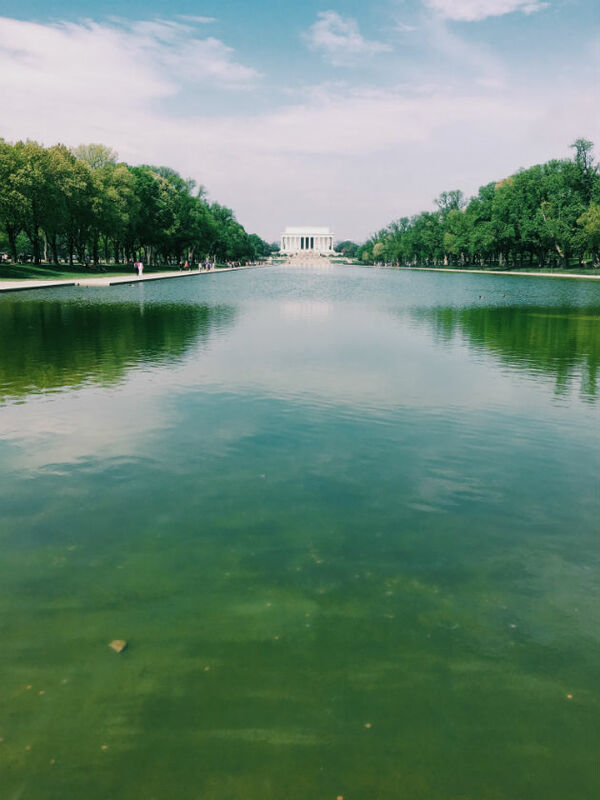 Some of our favorite places in D.C. The White House. 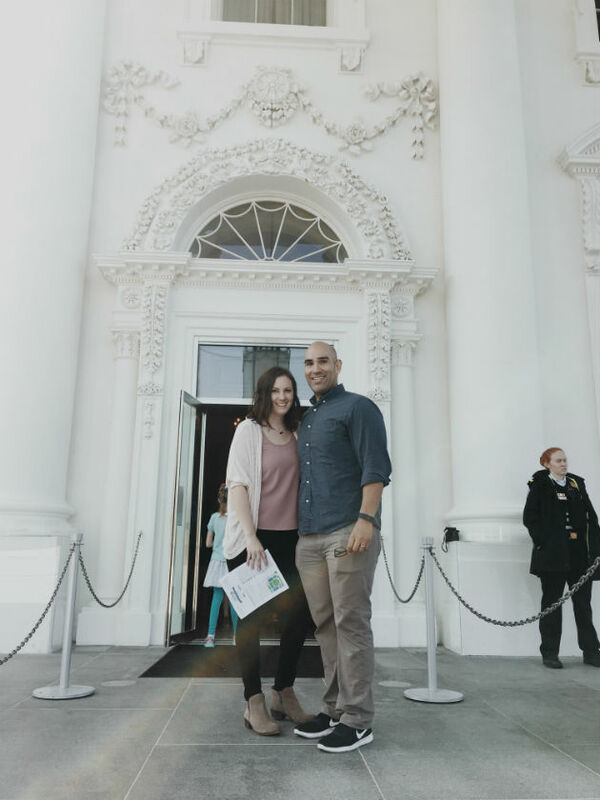 our friends got us tickets for an East Wing tour of the White House, and it was awesome! It was surreal to even be standing inside. The rooms were so gorgeous, we could have spent hours there looking around. The tour was self guided so that was nice, but there were staff throughout the wing to point things out, ask questions to, etc. 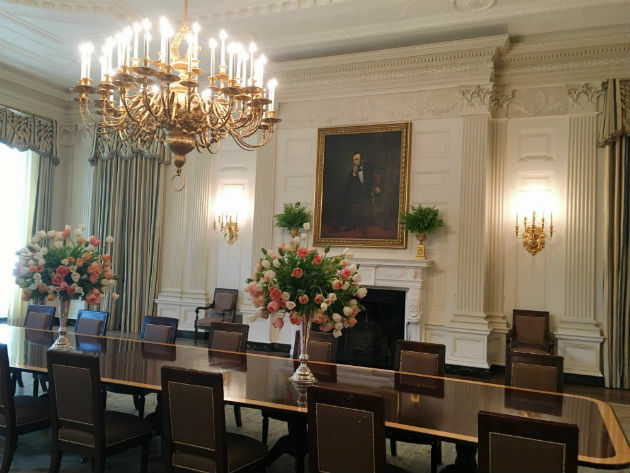 Pictured above is the State Dining Room. The Capitol. 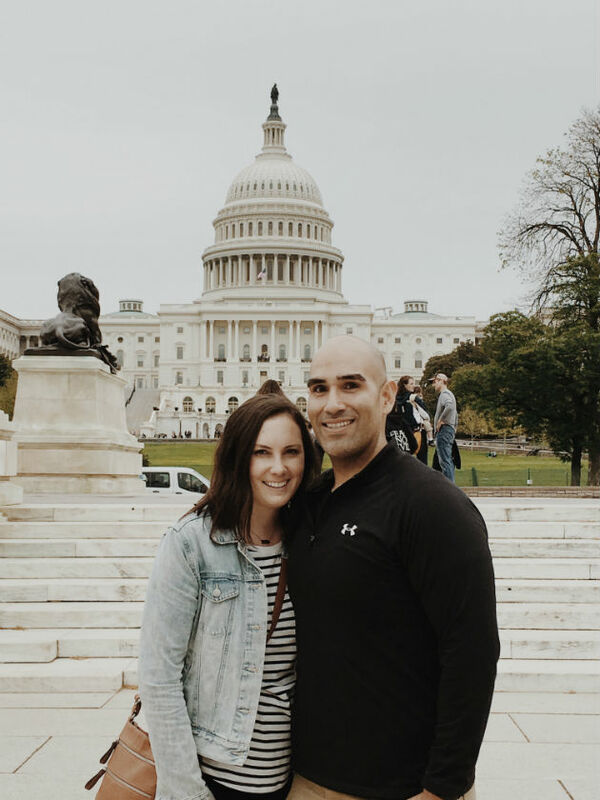 on our first day, we walked to the Capitol, explored a little around the outside, thought it was beautiful, and checked it off our list. Well on Tuesday, we ended up getting our own private little tour with a former Congresswoman, and it was AWESOME! The Capitol builidng is so gorgous inside. We loved seeing where the Senate meets (and where they used to meet), some original parts that survived the fire in 1812, and hearing all the stories of how things came about in that building. The Monuments. Standing in front of some of the monuments was so surreal. I really had no idea how huge and beautiful they are in person. Pictures definitely do not do them justice. 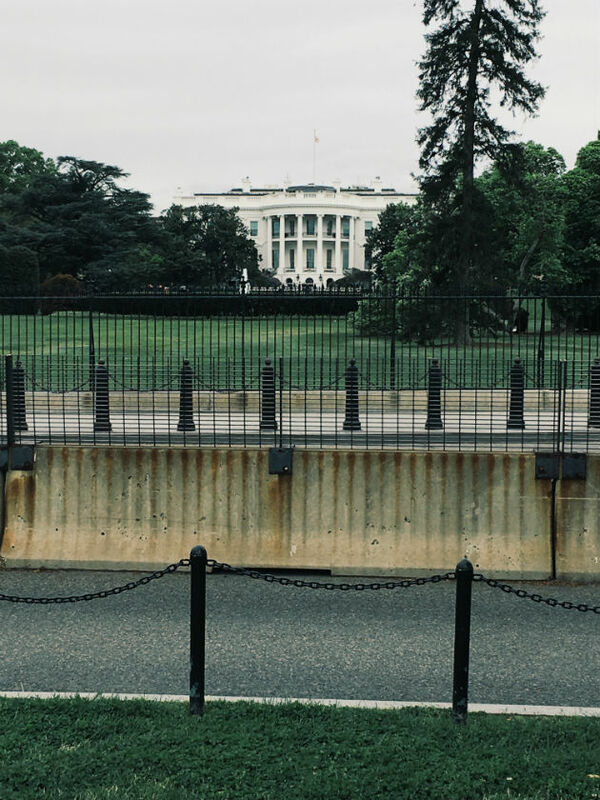 We rented bikes and toured the monuments that way (which I totally recommend)! Just as with the rest of our trip, we didn't get to see everything and missed some monuments as well, but we'll be back! Ford's Theatre and Peterson House. 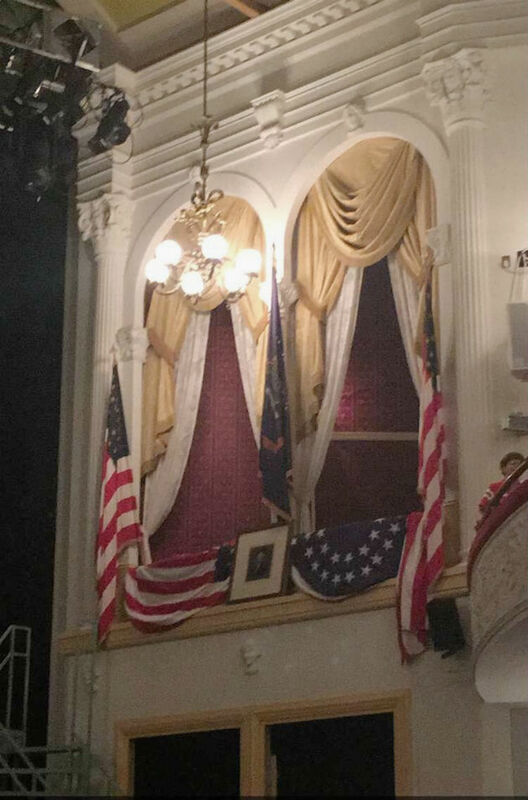 We toured Ford's Theatre and Peterson House to see where President Lincoln was assassinated and then later passed away. Ford's Theatre has a really interesting (and well done) museum underneath that we walked through first, and then we headed up to the actual theatre. After this, we crossed the street and walked through Peterson house to the room where President Lincoln passed away. The room was so tiny! All of this was really interesting, and we wish we had taken more time at the museum under the theatre. The Museums. Oh the museums...they are awesome! We didn't even visit very many, but the ones we did just blew us away! One huge perk of the museums are that they are all free admission! 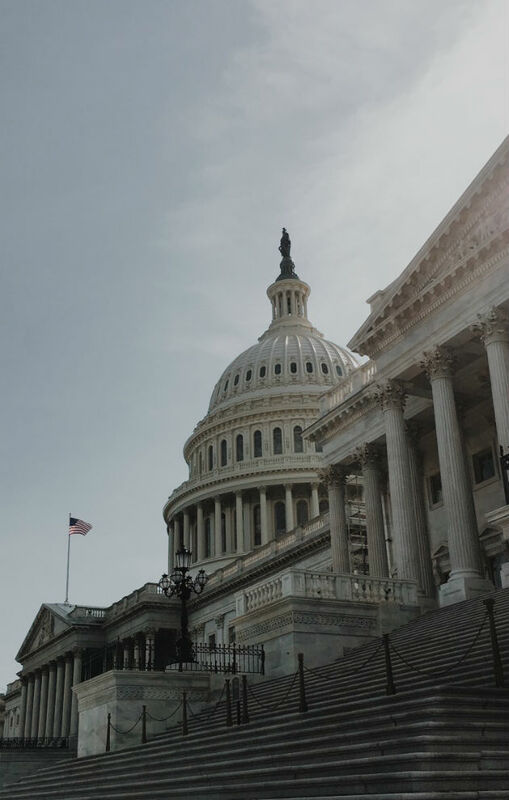 We visited the National Museum of Natural History, the National Museum of American History, the National Museum of the American Indian, the Smithsonian Institution Information Center, and the National Archives. There are SO many more museums that we would like to visit so we will definitely be back! We can't wait to visit this beautiful city again! We talk about Washington D.C. all the time and all the other things we would like to do and see there. We, of course, want to take our kids when they are old enough to know some of the history and appreciate it all, but we loved it so much we have talked about taking them when they are little too. Hopefully we will be back soon! You can read more about our four days in Washington D.C., here and here. Wow! I love that the museums were free! My husband loved visiting Washington DC and hopes to take the kids and I there one day. Oh you totally should go! I loved that the museums were free too but such a tease now when I go other places and have to pay!! ha!